I’m now 33 weeks and 1 day old and still hanging out in Mama’s belly. Mama’s OB suspects I’m about 4.5 pounds now and 17 inches or so. Even though she said I was already faced down, she was WRONG. 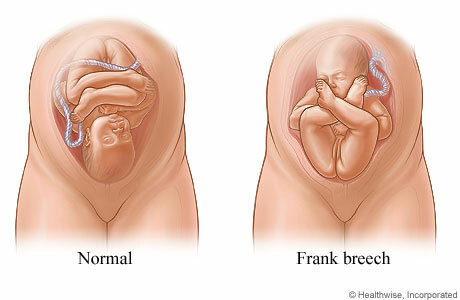 Mama & Papa found out yesterday that I was on the FRANK BREECH position! This means my bumm is facing down and my feet and hands are up near my face. So essentially I’m in the shape of a V. See the photo on the left, that is the way I should be to be delivered, but instead, I’m the other way, the photo to the right. BUT… I still have 7 weeks or so to turn around on my own, otherwise, they might have to have a little assistance in moving me. Worst case, I’m going to be delivered via c-section, which is something my Mama does not want!! Fingers crossed I get moving soon. 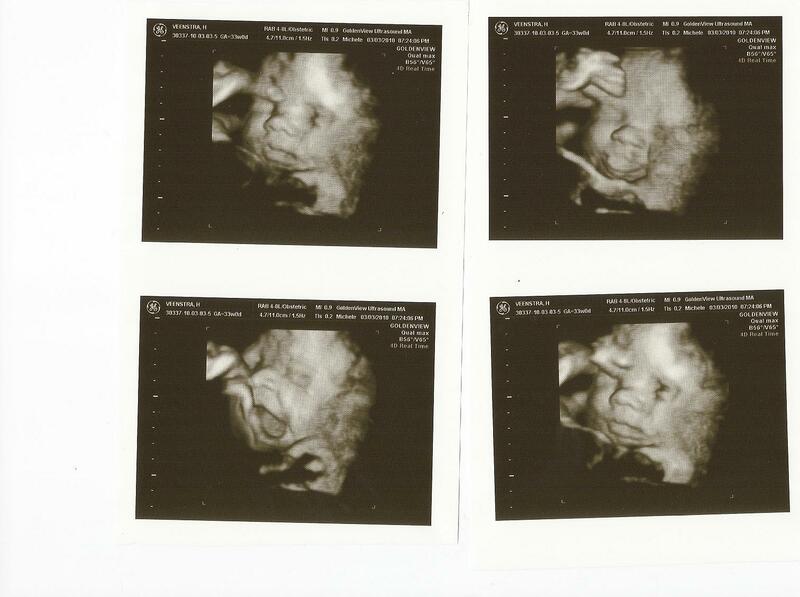 Yesterday my parents were able to get a few great views of me during a 3D/4D ultrasound. They were so shocked to see how much I looked like my older brother, Soren. They said my nose and mouth are the same, along with my super long fingers. I yawned, stuck out my tongue and even stuck my toes in my eye socket. Below you’ll see the photos of me – aren’t I cute! 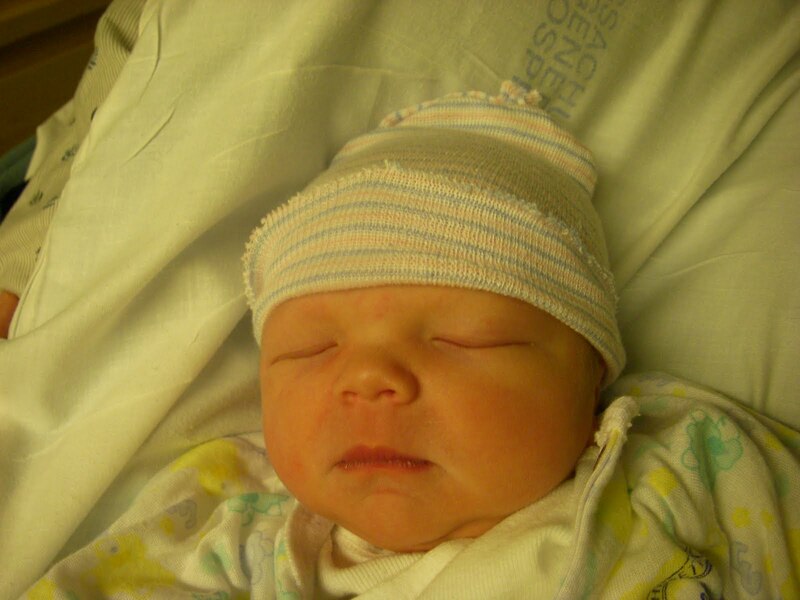 Here are a few photos of my brother Soren right after he was born. Still do not know if I’m a boy or a girl and will not find out until I’m born! 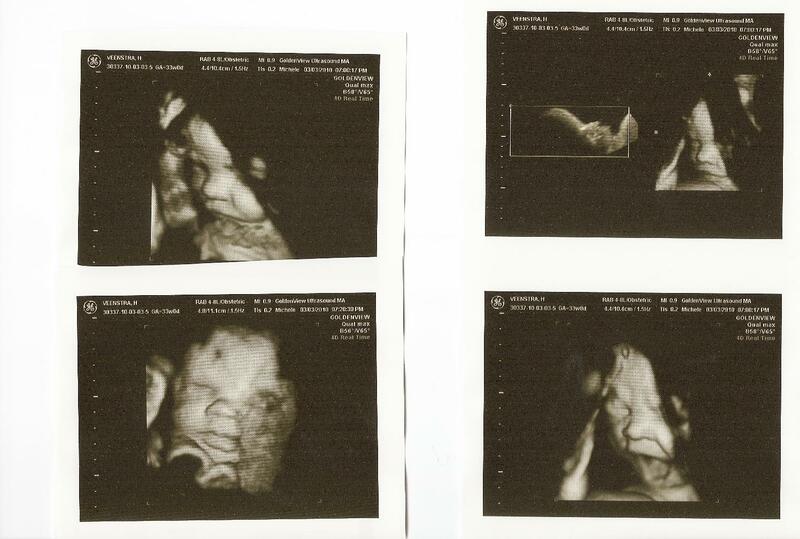 Next 34 weeks and 5 days – update on baby’s position.